Everything that I used for the party I already had! I didn't buy a single thing to decorate. I was creative and used what we had around our home and yard. 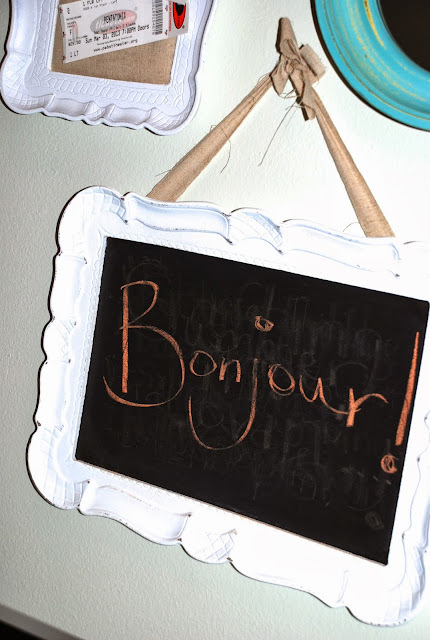 The theme of the party was "Julia Child" so I automatically thought that the decorations should have a French flair. I went on Pinterest and searched under 'Julia Child party' and 'french party' and everything that came up was very frilly french (black and white color schemes, lace and old florals, eiffel towers, wine bottles and corks, fancy crystal glasses, etc). I respect that style, but it's just not really what I like to decorate with. 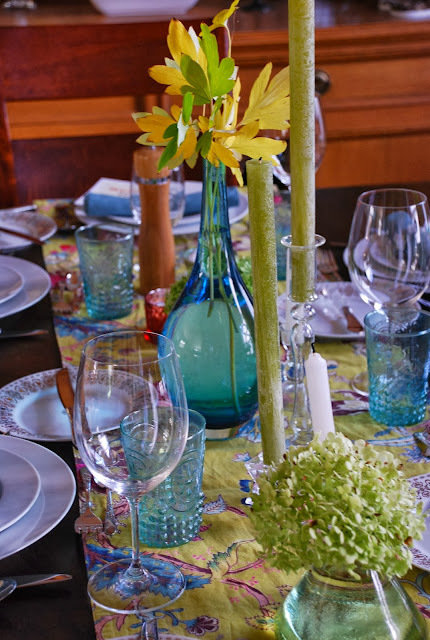 I like bright colors (aquas, turquoises, greens, oranges, corals) and simple dinnerware, silverware and glassware. So I decided to use what I already had laying around the house, instead of going out and buying I'll-use-only-once-decor, and then added my own artsy Julia Child touches. I wrote the guests' names on old corks with a Sharpie marker for placeholders (no cost). And I printed my favorite Julia Child quotes (which I found online) and placed a different one at each person's place setting. As the night went on, each person read their quote out loud. 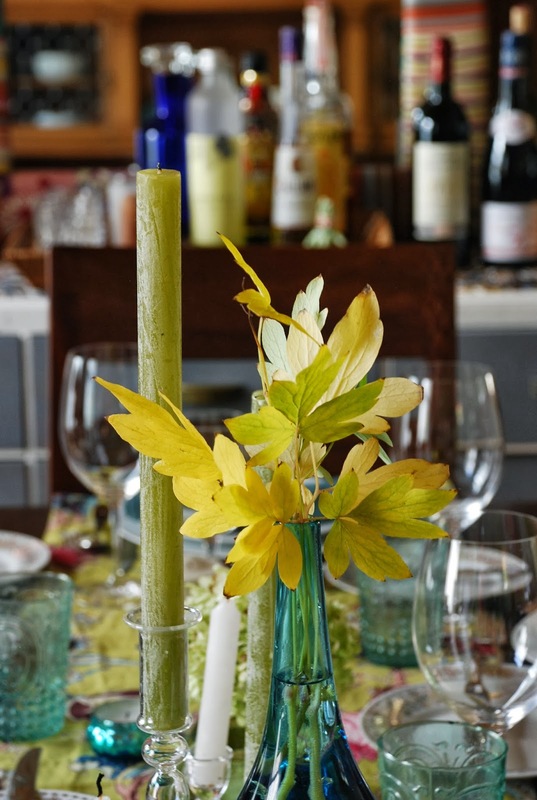 I used bleeding heart stems/leaves for the table's center vase, from our yard. They were simple, colorful, and I loved how they were changing from green to yellow due to Fall. I also placed some hydrangea blossoms in smaller vases on the table (also from our yard). 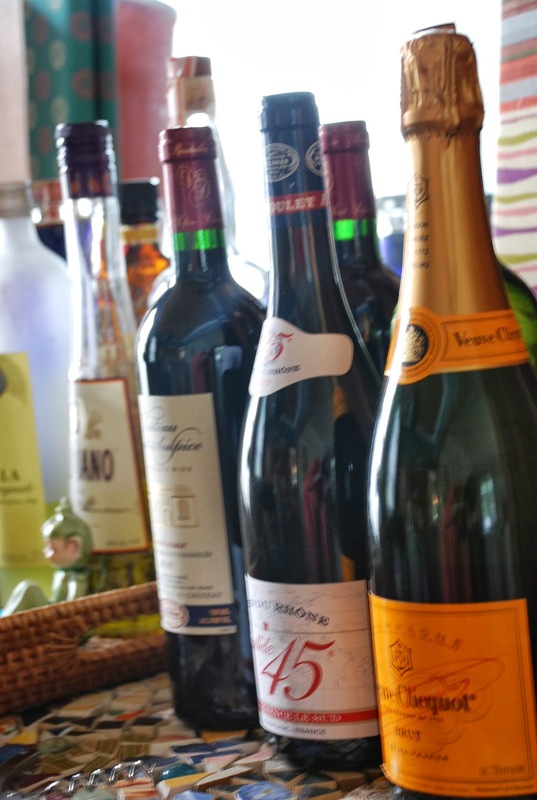 I lined up all of the drinks in a row on our bar. I think it looked pretty cool! I have an assortment of vintage aprons from Matt's grandma. I let each lady pick out an apron of their choice to wear at the beginning of the evening! And the guys were offered chefs hats (which I got for $1.60/hat at a local party supply store). Oh...and one thing non-party related. I had my first ultrasound for baby Bremser #2 this week. 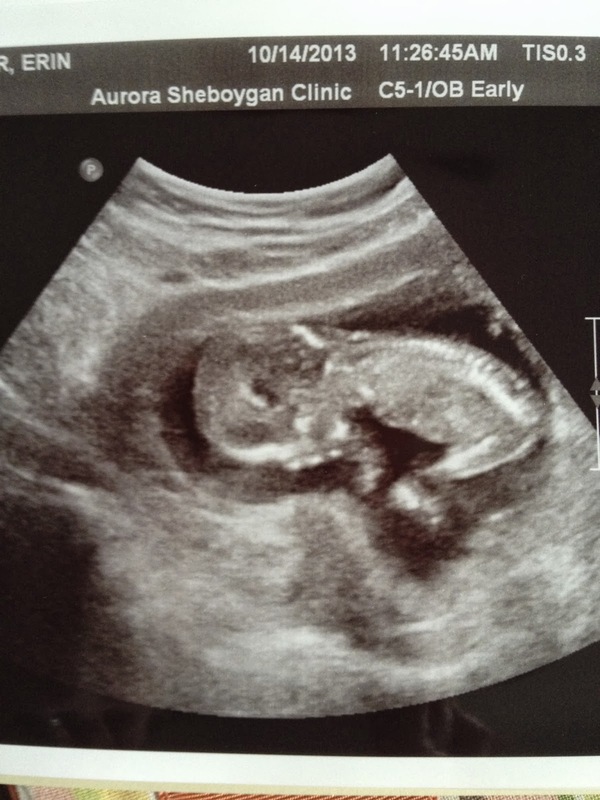 The baby was healthy and very active :) We are so thankful. Thanks for letting me share. Have a nice week!